Heroin found in a hidden compartment of a car. 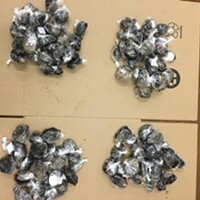 A 17-year-old boy who law enforcement officials believe was “employed by a drug trafficking organization” was arrested earlier this week after Humboldt County Drug Task Force agents reported finding 1.5 pounds of heroin in a hidden compartment of the car he was driving. According to a release, the agents were conducting an investigation Tuesday at a residence on the 5200 block of Cummings Road in Eureka when the teen was seen parking in the driveway. He was contacted by the agents and detained while an investigator from the district attorney’s office and a K9 were called to the scene. 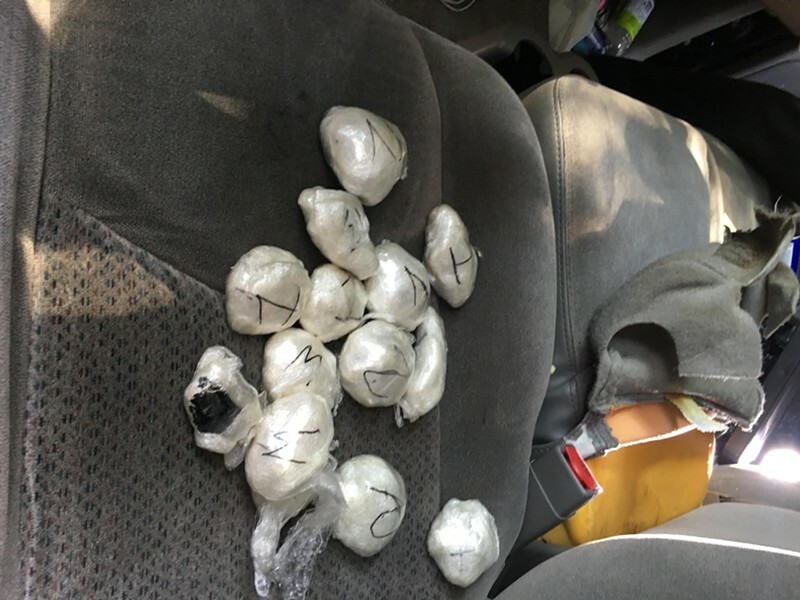 The dog alerted law enforcement to narcotics in the vehicle and a search yielded the false compartment with the heroin inside, according to the release. 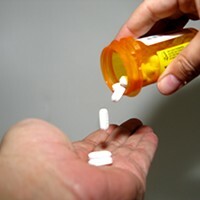 The teen was subsequently booked into juvenile hall on suspicion of possessing a controlled substance for sales, fabrication of a false compartment and driving unlicensed. On August 28, 2018, at approximately 1:00 p.m., Humboldt County Drug Task Force (HCDTF) Special Agents were conducting an investigation at a residence in the 5200 block of Cummings Road, Eureka. Agents previously received citizen complaints of suspected narcotics activity at this residence. While HCDTF agents were on scene a vehicle approached the residence and parked in the driveway. The driver, a 17 year old juvenile, was contacted and detained pending further investigation. An investigator with the Humboldt County District Attorney’s Office, along with his narcotic detection K9 partner, was requested and responded to the scene. The K9 alerted to the presence of narcotics inside the vehicle. Agents subsequently searched the vehicle and located a false compartment. Inside the false compartment agents located approximately 1.5 pounds of heroin packaged for sales. The juvenile was placed under arrest and transported to Juvenile Hall. The juvenile was booked for possession of a controlled substance for sales, fabrication of a false compartment, and driving unlicensed. Agents believe the juvenile was employed by a drug trafficking organization to deliver narcotics. If any suspect(s) are identified, child endangerment charges will be sought.